Are you at the end? Hguys,you need to play this so inhave someone to talk to abouth this. At the end of evereything. Maybe. It does look very good. I just have so little time for stuff. Or energy, when I have time. Beat it.with 19 hours on record. It isnt a game for everyone,it's more an experience of a game,an adventure. But i like the characters, the story doesnt really pick up till the end,but i like it all around, i dont wanna say too much, but i reccommend it. lol, a good idea. Sometimes I reread things and it's like it's all new. Brian Regan "the one thing" sketched with NitW characters. Y'know the creators thought of makin a greg boibblhead,but intead of the head,it'd be the arms. 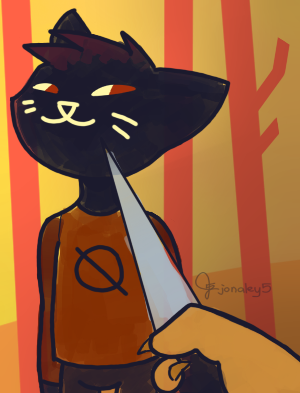 Someone drew some pokés in NITW style.